A Concordance to Swami Vivekananda is not simply a collection of quotations culled from the vast Vivekananda corpus. 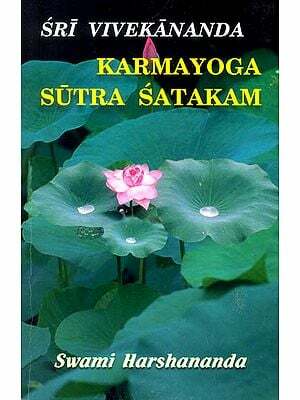 Rather, it is a useful guide that enables scholars and general readers to ascertain what Vivekananda said on different subjects and where those statements can be found. We often need this sort of ready reference for locating a quotation or for studying a particular issue in depth. We hope this Concordance will save those, who are eager to know Vivekananda's thoughts on various issues much time and labour. A distinctive feature of this Concordance is its emphasis on projecting Vivekananda's ideas, rather than his words. The entries were chosen so that the reader can form a fairly clear picture of what Vivekananda wanted to convey. This second volume, like the first, is primarily based on The Complete Works of Swami Vivekananda. However, it includes additional material from Reminiscences of Swami Vivekananda by His Eastern and Western Admirers, The Master as I Saw Him by Sister Nivedita, Letters of Sister Nivedita edited by Prof. S.P. Basu, and the six volumes of Swami Vivekananda in the West : New Discoveries by Marie Louise Burke. In addition, this second volume of the Concordance includes two appendices composed of entries culled exclusively from volume IX of the Complete Works, which was published after the first volume of the Concordance was released. The first appendix (Appendix A : A-H) corresponds with the first volume of the Concordance, while the second appendix (Appendix B : I-M) corresponds with this volume. still rolling on I go. I am in every body. Through all hands I work; through all feet I walk, I speak through every mouth; I live in every body. Whom to seek, whom to avoid? I seek none, nor avoid any, for I am all the universe. I praise myself, I blame myself, I suffer for myself, I am happy at my own will, I am free. What makes a man a genius, a sage? Isn't it because he thinks, reasons, wills? Man has infinite power within himself, and he can ....realize himself as the one infinite Self. Man is man's brother because all men are one. A man is not only my brother, say the Vedas, he is myself. This is the motherland of philosophy, of spirituality, and of ethics, of sweetness, gentleness, and love... India is still the first and foremost of all the nations... in these respects. The philosophy of India percolates throughout the whole civilized world, modifying and permeating as it goes. '.... if you will read anything of Hinduism, read Swami Vivekananda's works.